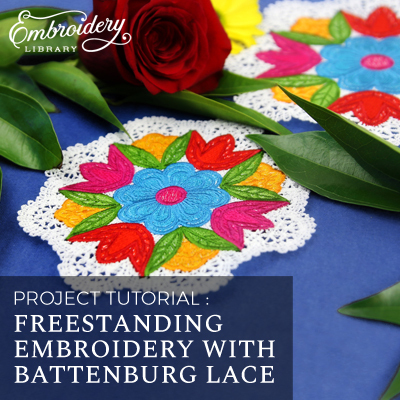 Combine the richness of embroidery with the softness of Battenburg lace! 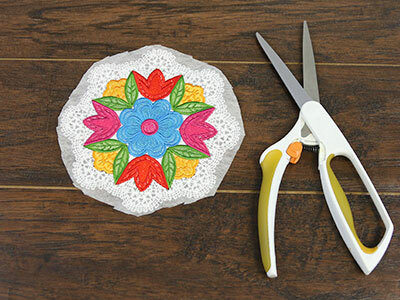 These specially digitized designs combine stitching styles to create a unique freestanding decoration. 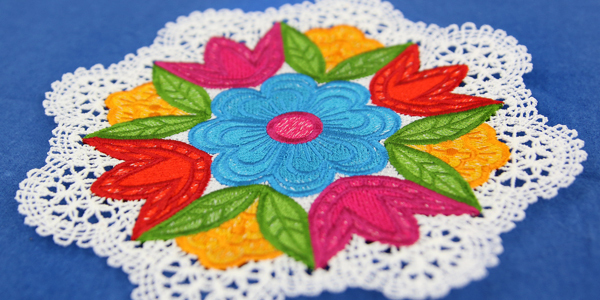 The steps are similar to stitching any lace, but with a few more color changes -- we'll show you how! 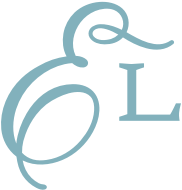 Lace is seen from both sides, so wind a bobbin with the same thread that you're using in the needle. In this tutorial we are using both cotton and rayon thread. 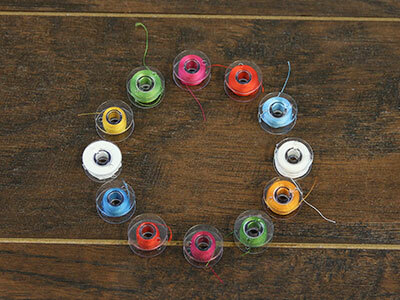 At each color stop, stop the machine and change the bobbin to match the top thread. 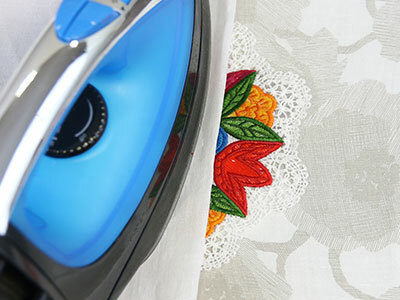 Load the file onto your machine, attach the hoop and embroider the design. 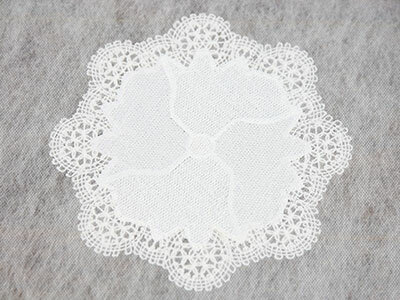 The Battenburg lace portion will sew first; be sure to match the bobbin with the same cotton thread as the top thread. 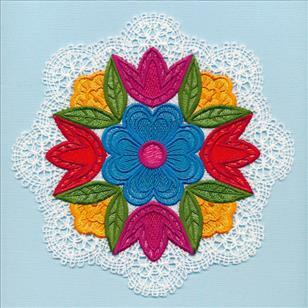 Once the Battenburg lace has finished sewing, switch the bobbin and top thread, according to the color change sheet. Repeat this step for every color change. 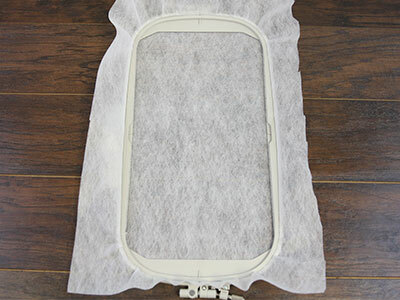 After embroidering, remove the excess stabilizer. The stabilizer's packaging should give instructions for removing the remaining stabilizer. 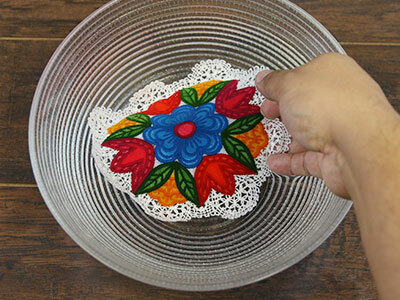 For Vilene, soak the lace pieces for a few minutes. 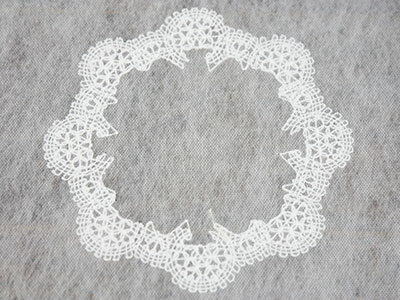 Air dry the lace, then press using a pressing cloth to finish the doily. 7.77" x 7.77" | 6.85" x 6.85" | 5.85" x 5.85" | 4.86" x 4.86"